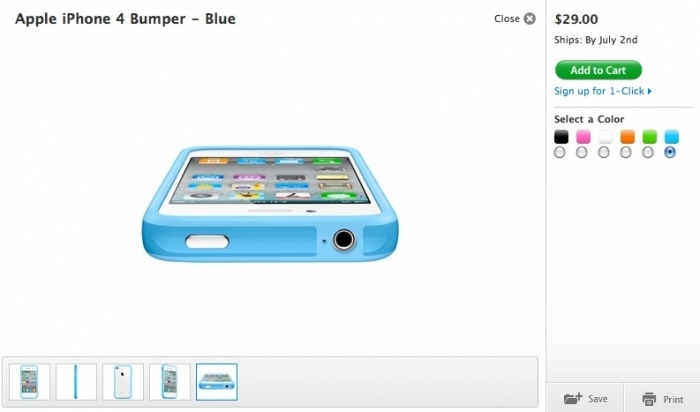 Apple’s anticipated iPhone 4 bumper is available for pre-order for $29.99. The black version will be out on launch but the others will make their way onto iPhone 4’s July 2. Update: In case you were wondering, the orange, green, and white bumpers are now shipping July 16. Black is still coming June 24th. 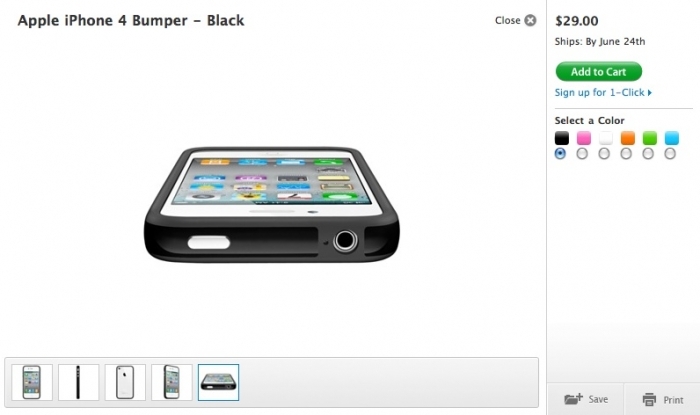 It seems that Apple prepared plenty of black bumpers to go with the black iPhone 4. Blue bumper after the break.